Family Of a Vet - PTSD, TBI, & Life After Combat: Hello VA! No mention of National PTSD Awareness Day... SERIOUSLY? Hello VA! No mention of National PTSD Awareness Day... SERIOUSLY? Today, June 27th, 2011, is National PTSD Awareness Day. 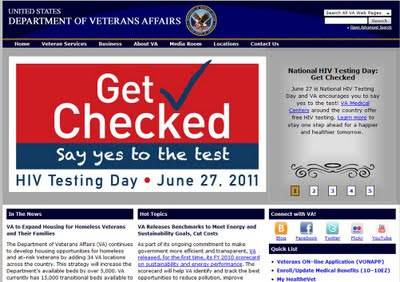 It is also National HIV Testing Day. And before I get any hate mail, don't get me wrong, I completely support and encourage HIV Testing. 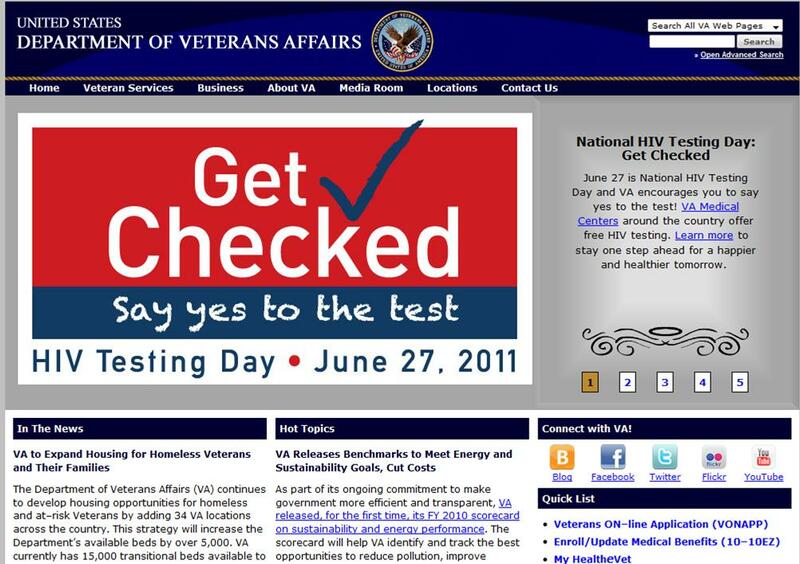 The VA is the largest provider of HIV care in the nation. 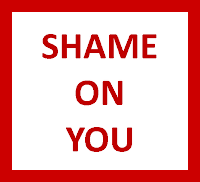 I want our heroes and others to get tested! BUT - at a time when we are loosing 18 Veterans a day to suicide, 2 out of every 3 Combat PTSD impacted marriages are failing, and hundreds of thousands of caregivers are struggling with Secondary PTSD, don't you think that National PTSD Awareness Day also deserves at least a mention? 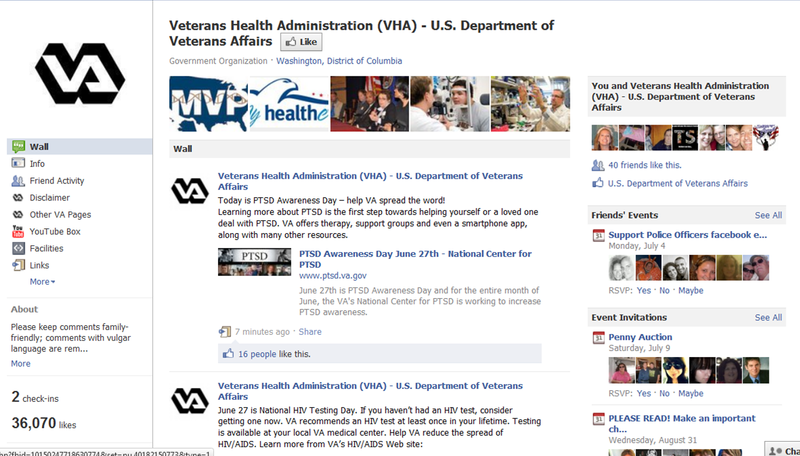 There is no mention as of 9:30 am CST on June 27, 2011, ANYWHERE on the VA's homepage about National PTSD Awareness Day. It's as if we... our heroes... our families... don't even exist. AND this further underlines the reason awareness is needed. HIV, a physical illness, is given attention. While post-traumatic stress disorder, AN ILLNESS THAT ALSO KILLS isn't even given a sentence... not the slightest acknowledgement. 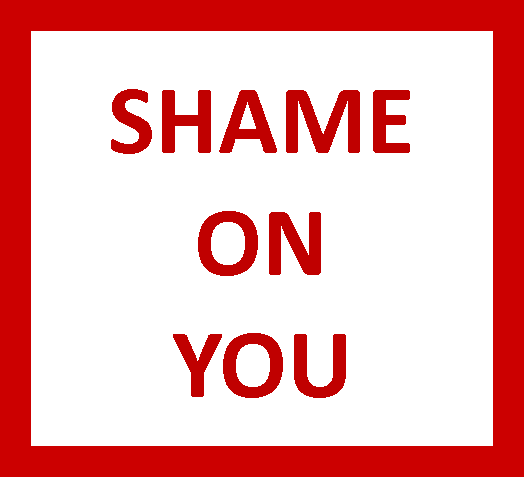 COME ON VETERAN'S ADMINISTRATION. Don't be part of the problem. Be a part of the SOLUTION! Tell our heroes and families and nation that PTSD is important and worthy of notice. 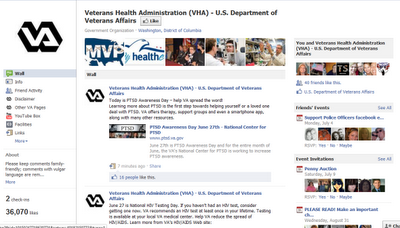 It is 12:47 pm CST and the VA's main site now acknowledges National PTSD Awareness Day. Yay! They HEARD US! 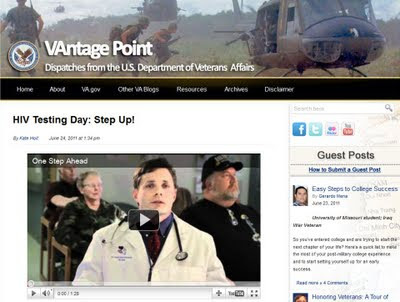 The VA Website at 9:30 CST on 6-27-2011. Even after cycling through all of the different screens, there is NOTHING about post-traumatic stress disorder on the home page. Sort of crushing, to say the least. 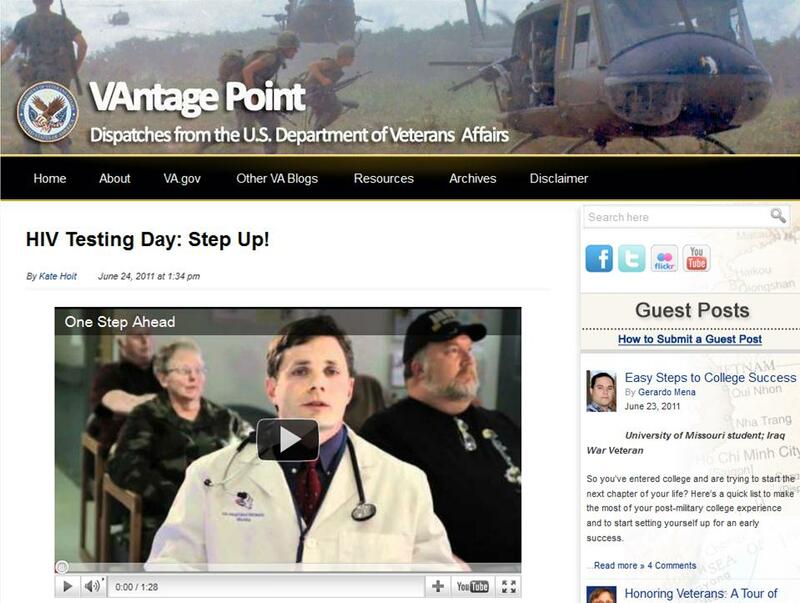 VA Blog (http://www.blogs.va.gov/VAntage/). No mention as of 9:50 am CST. VA - VHA (Veterans Health Administration) Facebook page. After some Veterans begin to scream... they finally list something at around 9:45 am CST. 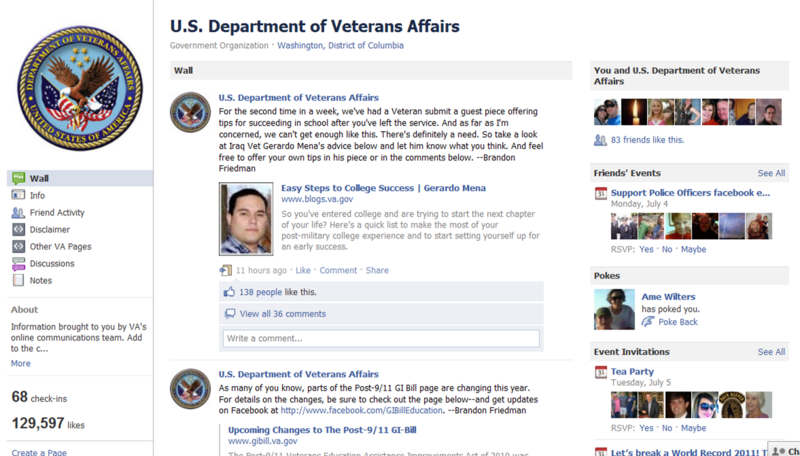 VA's main Facebook page. No mention as of 9:57 am CST (even though National HIV Testing Day info has been posted since June 23rd).